BioSketch - Dorothy J. Phillips, Ph.D.
PHILLIPS, DOROTHY J. Northeastern Section. Retired, Waters Corporation, Milford, Massachusetts. Academic Record: Vanderbilt University, B.A., 1967; University of Cincinnati, Ph.D., 1974. 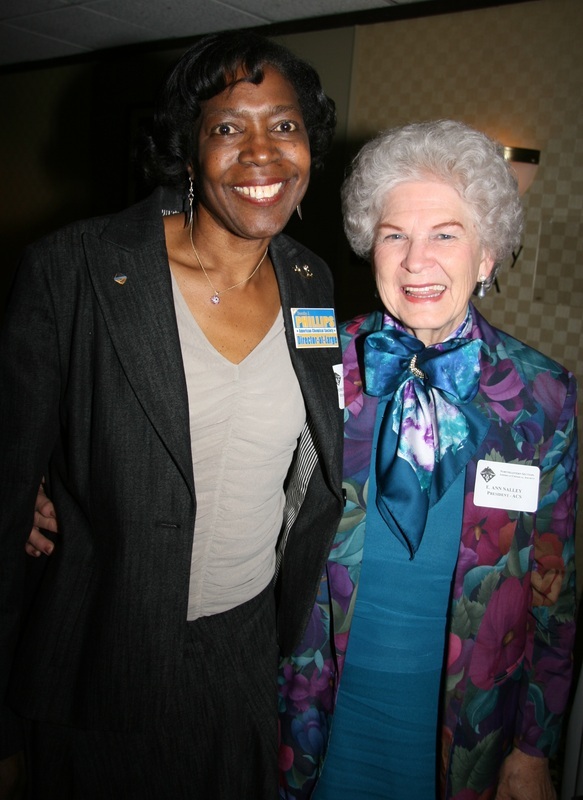 Honors: ACS Fellow, 2010; Shirley B. Radding Award, ACS Santa Clara Valley Section, 2008; ACS Northeastern Section Henry A. Hill Award, 2006; ACS Nashville Section, Salute to Excellence Award, 2004; Vanderbilt University Dr. Dorothy J. Wingfield Phillips Endowed Chair and Chancellor's Faculty Fellows, 2015; Distinguished Chemist Award, The New England Institute of Chemists, 2011; Waters Leadership Award for Outstanding Contributions to Waters and Waters’ Community, 2008; Vanderbilt University, Dr. Dorothy Wingfield Phillips Award for Leadership, 2007; Unsung Heroine Award, Vanderbilt University, 2006; Honored by TTT Mentor Program of Cambridge, MA, “Minority Role Model in Science, Mathematics, Technology and Engineering” 2004; Distinguished Alumni, University of Cincinnati, McMickens College of Arts and Sciences, 1994 and Center for Women Studies, 1993. Professional Positions (for past 10 years): Retired, Waters Corporation, 1984-13; Director, Strategic Marketing, 2006-13; Director, Clinical Marketing, 2004-06. 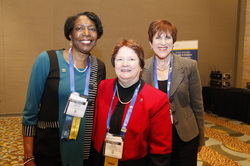 Service in ACS National Offices: Board of Directors, Director-at-Large, 2014-19, Councilor, ex officio, 2014-19; Executive Committee, 2016-18, Board Committee on Public Affairs & Public Relations, 2015; Board Committee on Grants & Awards, 2014, 2016; Board Committee on Professional & Member Relations, 2014-18, chair 2018; Board Liaison for ACS Science & Human Rights Initiatives, 2014-19; member AAAS Science and Human Rights Coalition Steering Committee; Board Standing Committee on Strategic Planning, 2016-17, Grassroots - Working Group, Chair, 2016, Communications Chair, 2017; Collaborative for Re-imaging a Diverse ACS Membership, Chair 2016; Corporation Associate, Liaison, 2015-16, Consultant, 2017; Development Advisory Board, 2017-18; Council Policy Committee, 2008-13, Nominations Sub-Committee, Chair, 2012-13; Committee on Committees, 2001-06, Secretary, 2003-04, Industrial Pipeline Sub-Committee, Chair, 2005-06; Committee on Divisional Activities, 2007-08; Committee on International Activities, Committee Associate, 1998; Committee on Membership Affairs, 1997-2000, Committee Associate, 1996; Undergraduate Programs Advisory Board, 2013; Presidential Task Force, “Vision 2025: Helping ACS Members Thrive in the Global Chemistry Enterprise”, 2012. 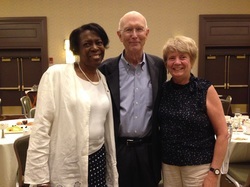 Service in ACS Offices: Northeastern Section: Councilor, 1995-13; Chair, 1993; Chair-Elect and Program Chair, 1992; Project SEED, Committee Chair, 1994-95; Nominating Committee, Chair, 1994; Centennial Celebration, Co-Chair, 1998; Awards Committee, Chair, 2009-18; Trustee 2014-19, Chair, 2016. 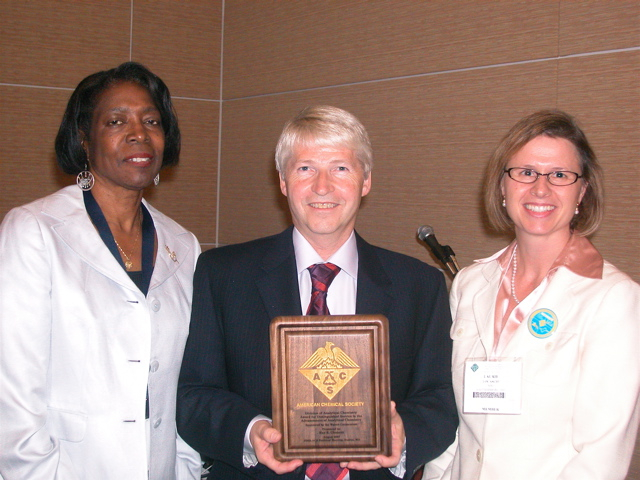 Analytical Chemistry Division: Chair, 2009-10; Program Chair, 2008-09, Chair-Elect, 2007-08, Immediate Past-Chair, 2008-09, Fundraising Committee Chair, 2012-13. Member (current): Member ACS since 1973. National Organization for the Professional Advancement of Black Chemists and Chemical Engineers; Sigma Xi; Alpha Kappa Alpha Sorority, Inc. ACS Divisions: Agrochemicals; American Association of Chemistry Teachers; Analytical Chemistry; Biological Chemistry; and Business Development and Management. 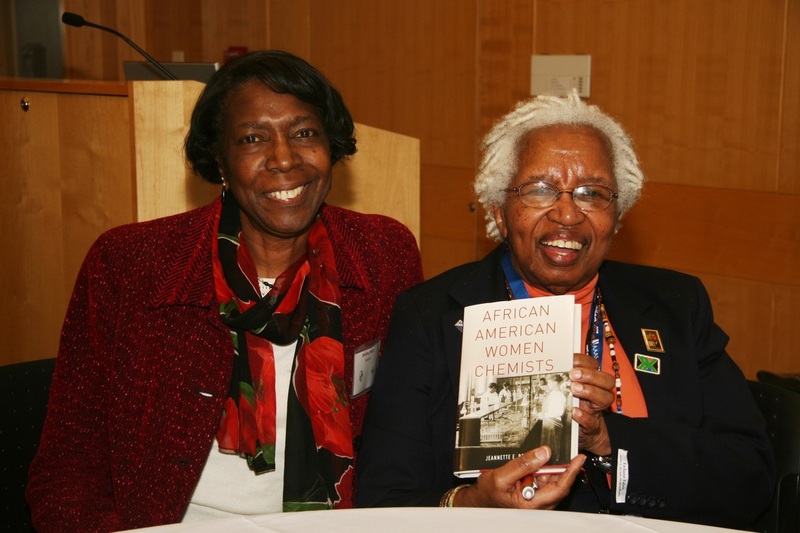 Related Activities: African-American Women Chemists in the Modern Era, J.E. 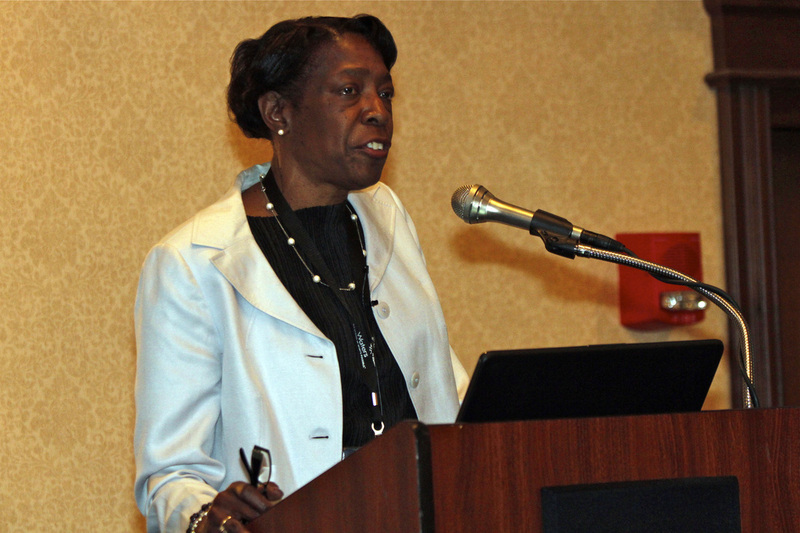 Brown, Chapter 2.1 pp 5-23, 2018; 2015 ACS National Meetings presentations: Committee on Minority Affairs Luncheon, Spring, 2015; Legacy of Henry A. Hill Symposia, Fall 2015. Spearheaded Waters sponsorship of the Frank H. Field and Joe L. Franklin Award for Outstanding Achievements in Mass Spectrometry and the ACS Award in Separation Science and Technology; Keynote or invited speaker at the 15th International Conference of the Indian Society of Chemists & Biologists, Rajkot, India, 2011; The International Conference on Chemistry for Mankind, Innovative Ideas in Life Sciences, Nagpur, India, 2011; Third Annual PepCon Conference, Beijing, China, 2010; and The Sixth Annual Congress of International Drug Discovery Science and Technology, Beijing, China, 2008. Over 70 publications and presentations focused on separation sciences; co-editor and chapter co-author in ACS Symposium Series 1288 Responsible Conduct in Chemistry Research and Practice: Global Perspective, in press. 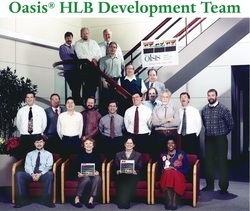 Dorothy J. Phillips, Brand Manager for Waters Oasis sample preparation products, 1996-1999, with team members.